It is time to shed those winter coats and step into Spring! The weather is finally getting warmer and the boats are starting to buzz in the harbor. We are so excited about spring that we have new items to be offered this year! 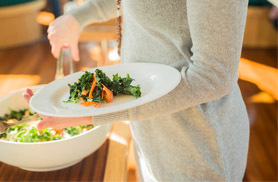 Join us for our Spring Luncheon Cruise aboard the yacht Northern Lights. This gourmet picnic lunch consists of an assortment of sandwiches, fruit, chips and desserts. It is an excellent cruise for families, friends exploring the town, and folks looking for a relaxing adventure. So step out for a spring afternoon and soak in the sun on this Boston Harbor Cruise. 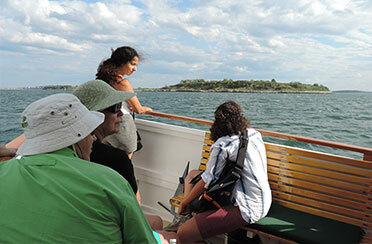 We have also added a brand new sightseeing cruise: The Historical New England Harbor Cruise. Enjoy this cruise filled with history and mystery. Learn about Boston Harbor and how it is home to 34 islands and nearly every island has a story to tell. From its’ fortifications and hauntings to lighthouses and wildlife sanctuaries. The harbor is full of rich and unique history that will keep your attention throughout the trip. We’ve had enough of winter! So brush off the cobs webs on your spring attire it’s boating season again! Join us on a cruise through New England harbor and taken in the beautiful flora and fuana of spring on this 2-hour cruise. All spring long we are rewarded with blooming cherry blossoms, dogwoods, black cherry trees, and rhododendrons as we cruise around the harbor. Take in the pink and soft green colors of spring on the Boston Harbor Islands while hearing stories about pirates and ghosts that haunt the islands. Additionally, the islands have played an integral role in fortifying Boston in every war from the Revolutionary War until the World War II. Almost every island has a tale to tell. Aboard this cruise, you will hear many of those anecdotes. Gourmet picnic lunch consisting of an assortment of sandwiches, fruit, chips and desserts is included with your ticket. This cruise is excellent for families, friends exploring the town, and folks looking for a relaxing adventure. Step aboard the Northern Lights for a top-of-the-line sightseeing cruise to discover some of the mysteries behind Boston’s harbor islands. Sit back and relax in our climate-controlled cabin or enjoy the sea breeze on our open top deck. During your harbor cruise with us, our captain will provide narration and crew will be around to assist in making your trip more comfortable.